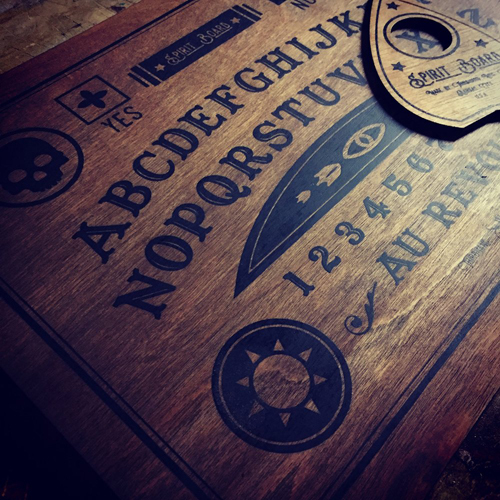 I have a new limited edition item on offer, my “Spirit Board”. • Available for pre-order until November 15th (no more will ever be made…). 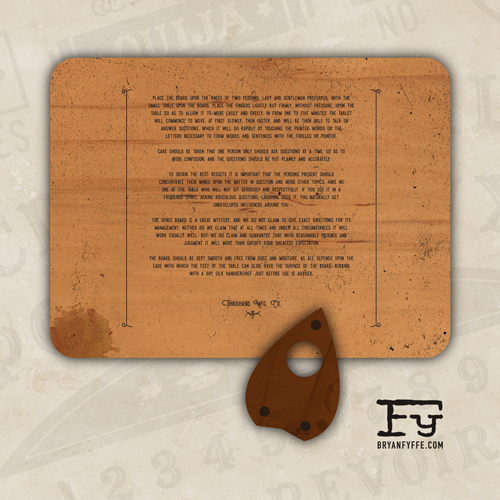 • One 12×16 board + one planchette. • Each board is hand screen printed onto birch plywood. 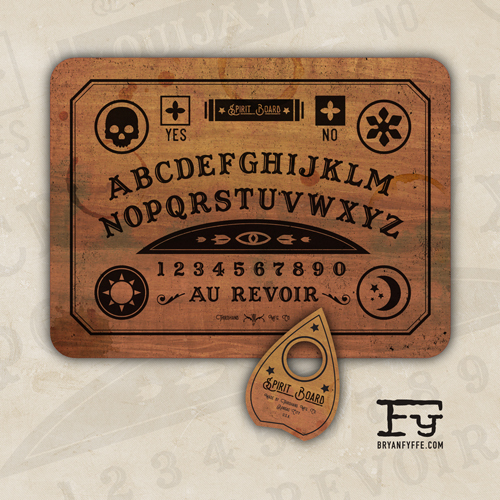 The board is 1/2 inch deep and the planchette is 1/4 inch deep. Each board is hand weathered/aged by me. Each board will have unique age and weathering. • Each board comes pre-haunted.